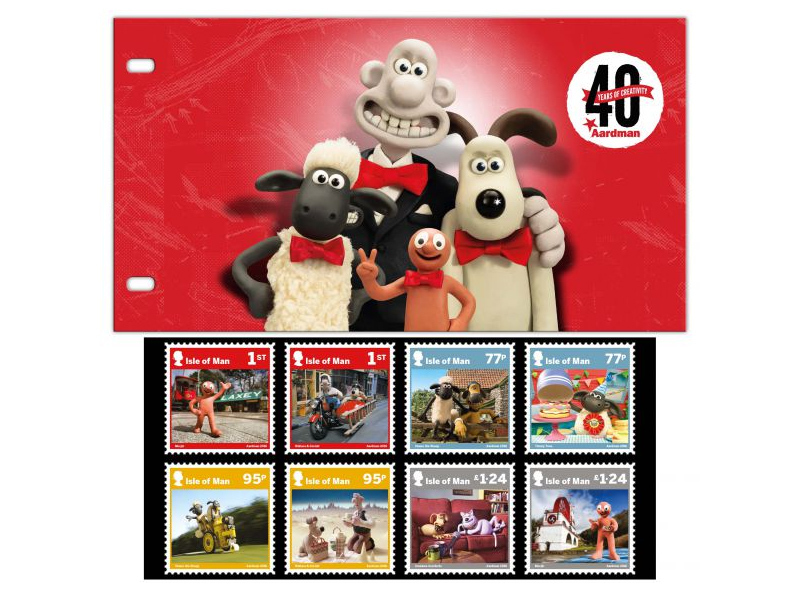 For 40 years, Aardman has entertained and charmed the world, creating much loved characters – including Wallace & Gromit, Morph and Shaun the Sheep – and bringing unforgettable stories to life. From co-founders Peter Lord's and David Sproxton's table top beginnings Aardman has grown in to a major, world class studio, continuing to be innovative, entertaining, brilliantly characterised and full of charm. 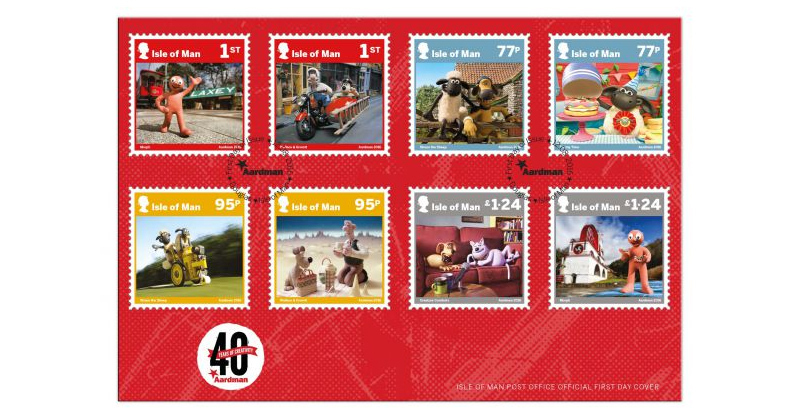 This collection of colourful and engaging stamps features the studio's stars, including Shaun the Sheep and Wallace & Gromit, in their most famous moments. This issue also features exclusive never before seen images of Morph at some Manx landmarks after paying us a visit to explore the Island. 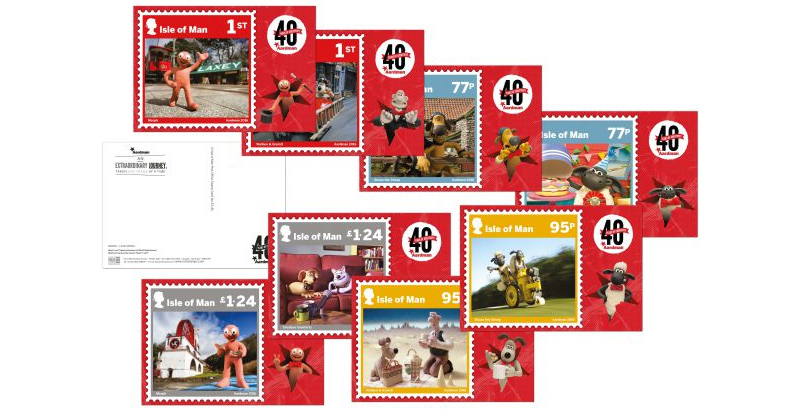 Whether a lover of our stamps or a dedicated Aardman fan there is something for everyone in this charming collection! 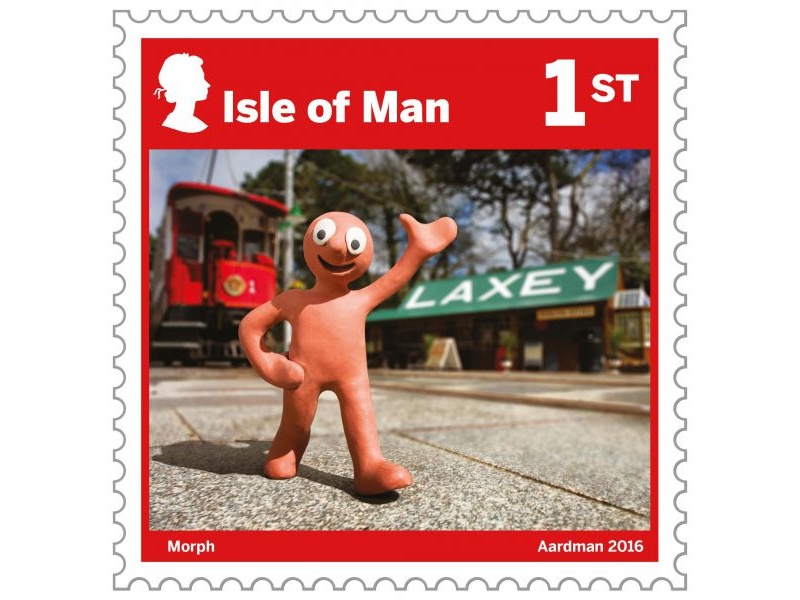 The first stamp features Morph almost being flattened by the Laxey tram, on his way to the Post Office. 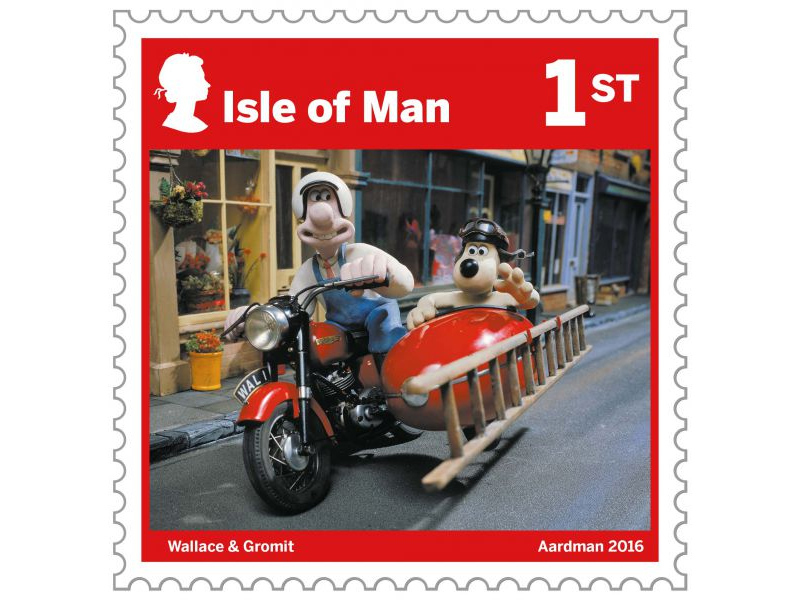 The second stamp features Wallace & Gromit on their motorcycle and sidecar from their third film 'A Close Shave', where they found themselves unwittingly entangled in a sheep-rustling scheme with the evil dog, Preston. 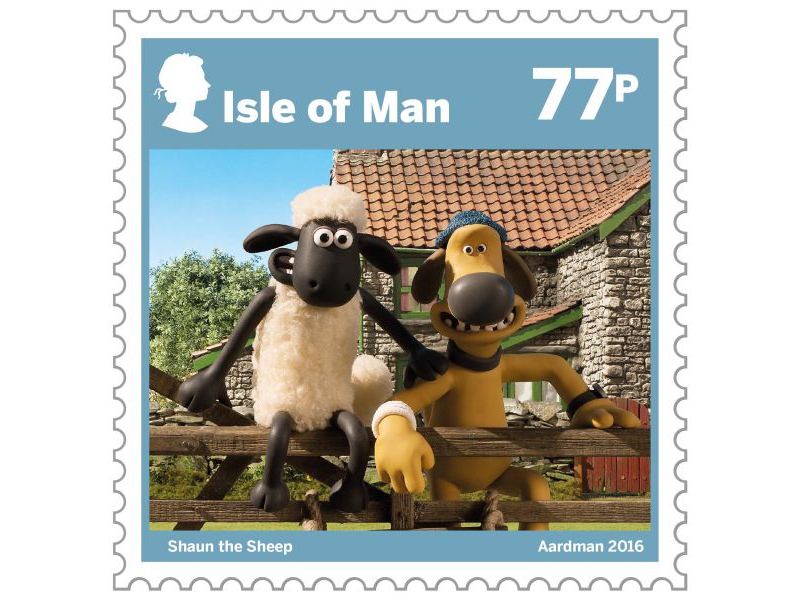 The third stamp from the collection features Shaun the Sheep at his home in Mossy Bottom Farm, where there is rarely a peaceful moment as Shaun creates havoc for the Farmer and his sheepdog, Bitzer. 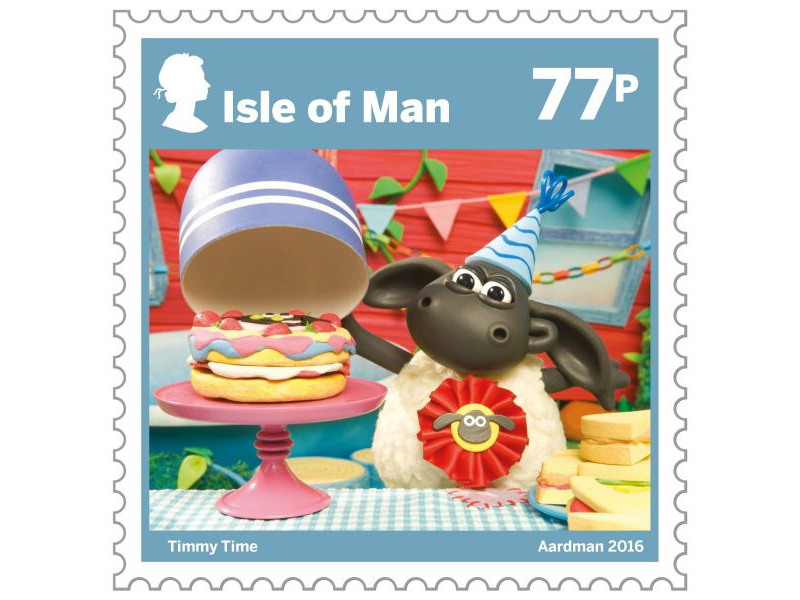 The fourth stamp is an illustration of Timmy, the little lamb of Shaun the Sheep's flock with a delicious cake celebrating Aardman's 40th birthday. 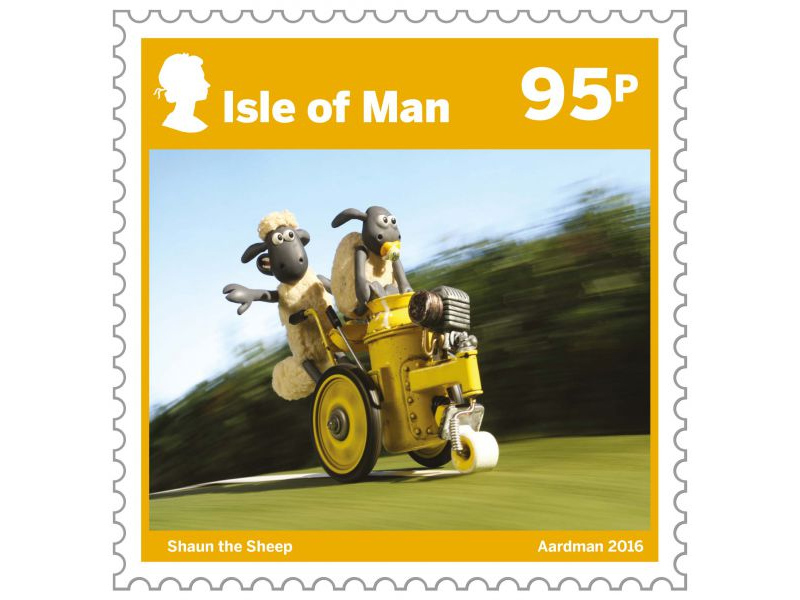 The fifth stamp features Shaun the Sheep from the classic episode 'Draw the Line', where Shaun and friends highjack a road line-painting machine to create chaos by painting a giant work of art in the field. 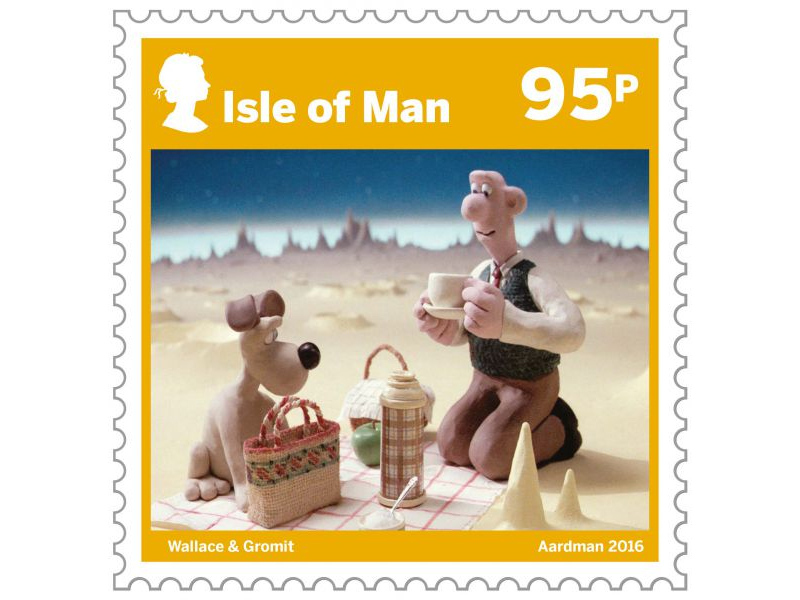 The sixth stamp is an illustration of Wallace & Gromit from the film 'A Grand Day Out', where the enterprising duo travel to the Moon to sample cheese. 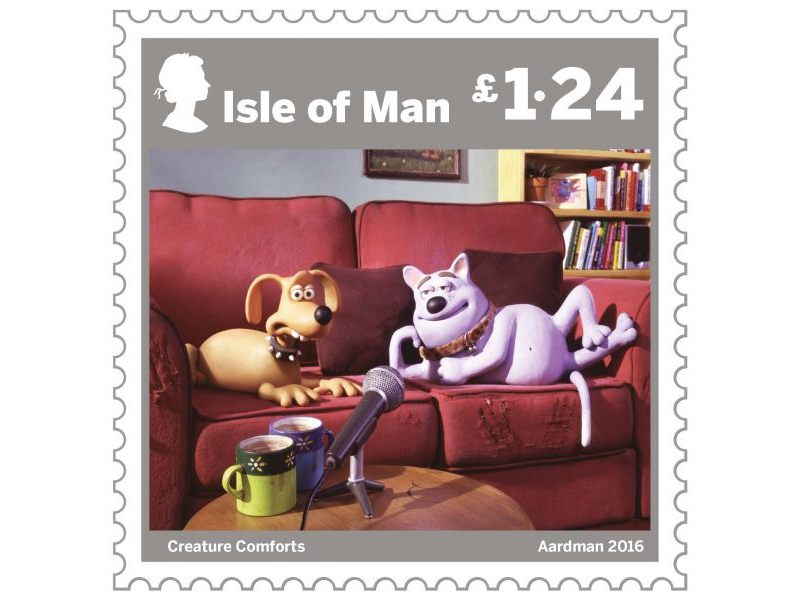 The penultimate stamp features Trixie and Captain Cuddlepuss from the Academy Award® winning short film 'Creature Comforts', where they are relaxing at home on the sofa with a cup of tea. 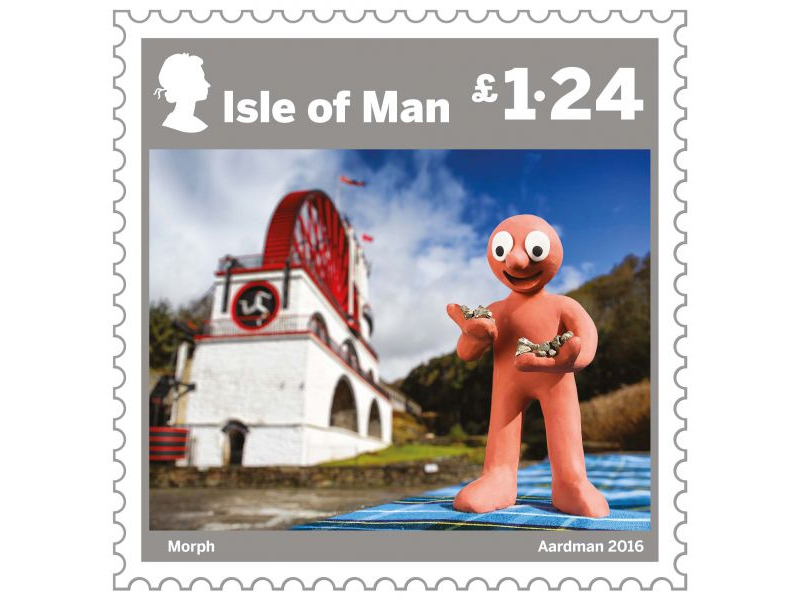 The final stamp is a snap of Morph at Laxey Wheel, from his recent trip to the Isle of Man, where he discovered some "fool's gold". © and ™ Aardman/W&G Ltd. All rights reserved. 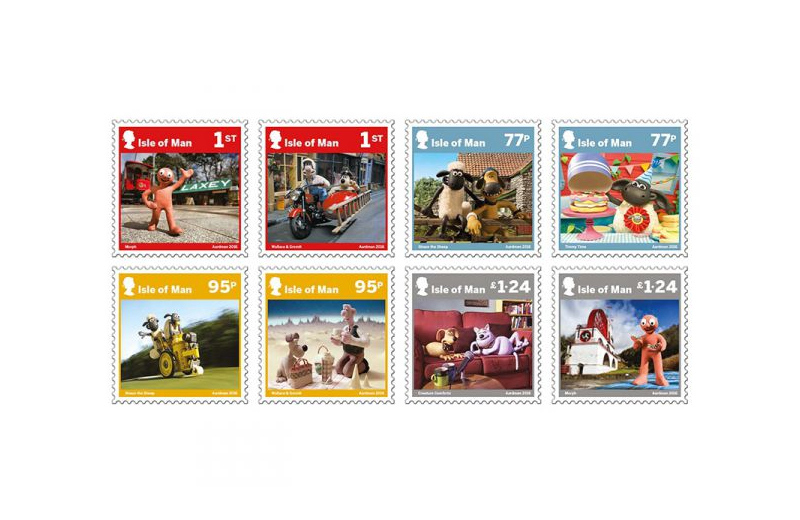 Shaun the Sheep, Morph & Timmy Time © and ™ Aardman Animations Ltd 2016. All Rights Reserved.